After all of this time, after releasing numerous releases through Avex… you mean to tell me FAKY still haven’t technically debuted?! In the MV description Avex state that their major debut mini album Unwrapped is scheduled for release on June 14th, so I guess that really is the case… wow. I’m not a FAKY fan or anything, but for some reason I always find myself checking in on them and keeping moderately updated on their music. I think I just like the whole bilingual thing they have going on, and all of the members are gorgeous. Someday We’ll Know is just your basic, run-of-the-mill Pop song though- nothing special, but something the youth will like (lol, why did I just make myself sound old af???). The music video is pretty basic too but like with all FAKY releases everything stands out a bit more due to super trendy styling and choreo. [THE END]… a Vocaloid Opera?! 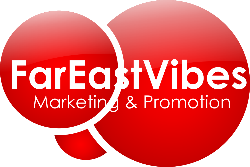 ← 6 Years of FarEastVibes! Wowwww!! !